Recently, I took a road trip by rental car from Baltimore, MD to Princeton, N.J. I drove up I-95 to the Delaware Bridge, crossed through Delaware into New Jersey and then took the New Jersey turnpike up to Route One and then finally proceeding onto Princeton. The cost for my driving labors was the gas and at least $ 18.00 in tolls. I did discover on my way back from Princeton, N.J. to Baltimore, MD that you can save a few dollars on tolls if you stay on I-95; however, I had the pleasure of driving I-95 through Philadelphia, PA at night with a rainstorm that rivaled in biblical proportions. His observation is correct. When I was growing up in Portland, OR highways and secondary roads were funded through the State Department Of Transportation revenue and gas tax. 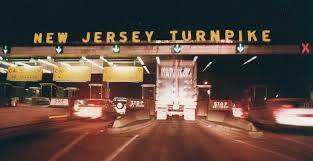 I saw toll roads for the first time when I went to Princeton Theological Seminary. The problem, of course, for some states, including Texas is that the gas tax has not increased. The phenomena of toll roads and HOV lanes that have long been a staple of Dallas-Fort Worth and Houston, TX could soon become a reality here in San Antonio, TX, although, there have been some successful legal challenges to forestall this development so far. The bigger question is “ how do you pay for infrastructure improvement to roads, bridges, etc. ? “ If you live 25 miles or more away from where you work, and you reside in a city of one million plus residents, face it, your commuting time is going to be probably no less than 45 minutes. One alternative of shortening your commute would be to have less people working and fewer children going to school, neither of which would be good for the economy let alone for the society. States and the federal government, I believe, need to budget and increase funding for highway maintenance and development. Good and reliable roads are necessary for commerce, getting people to work and school, and enabling the sick and the injured to get to hospitals for needed medical care, not to mention police and fire departments responding to emergencies. If we resort to private funding of roads, to more toll booths, now in many places, with no human contact, instead with digital cameras that take pictures of your license plate and then send the bill to your mailing address, what does that say about providing public transportation resources for all regardless of income or the ability to pay ? Not to mention, if you move, and the state transportation office sends your toll bill to the wrong address, you could be looking at paying a lot of fines. Do we really want to perpetuate this system of “ pay to play “ for driving on public roads ? Can we pray that we don’t have to “ pay to play “ ? Can there be another way ?